Whoa – I missed Thursday because I was finishing up a screenplay I’m writing on contract… Sorry about that. Be back next week. I set aside five weeks to go to India with a medical YATRA. I learned enough Hindi to say “I’m a teacher; I’m not a doctor.” I had two CPR kits and was practicing to teach villagers how to keep someone alive. I was going to leave for Phoenix on Jan. 15. Instead, I got to try my two Hindi phrases on the medical personnel at UC Davis, Sacramento. The first weekend in January my son was in a car accident. He got out of the car, saw headlights coming, and apparently dove over the guardrail to get out of traffic. He was on a bridge, thirty feet in the air. He doesn’t remember much other than that and the other car was abandoned when police got there. Thank goodness they looked over the edge and saw him. He got out of the hospital the day I was supposed to leave for India. By then the stitches where his back and arm had been operated on could get wet, but because of the broken arm, he needed help getting the back brace off and back on. Conveniently, I had a few weeks cleared so I could stay and help him–India will happen another day. I got to shop at an Indian grocery and eat at India House in Rancho Cordova while I was in Sacramento, so it was not a complete loss. The YATRA says they’re refunding the money I gave for food and lodging, but Air Canada and Travelocity have not been so kind. Air Canada hasn’t even responded to my complaint at the way their refusal was handled: The first person said to call and reschedule once I heard from the doctors how long I would be needed. As long as it was before my flight was scheduled she said there was no problem. When I called back to reschedule, I got a different woman who said I could not reschedule unless I was going to fly sooner, which of course was not an option. When I asked to speak to a supervisor, she said she was the supervisor and had worked there twenty years. Her tone was quite nasty. Ah well. The funny thing is, I had a feeling something was going to go wrong. My daughter was flying to Colorado the same day on a small airline and I’d worried she might end up in a crash in the Rockies and I’d have to turn around as soon as I got to Mumbai. I never expected to see my oldest in the hospital. He’s alive, walking, off all pain killers, and can lift a dinner plate. So he’s good. It’ll be a few more weeks before he knows if he can go back to work, but he’s ready to be flexible about his future–except for his back with the two metal rods in it, that won’t ever be flexible. In fourth grade, I lived right down the street from school, yet I remember routinely swinging into the classroom as the last bell rang each morning. I still tend to be a last minute person, except when I’m flying. I actually get to the airport well ahead of time so I don’t stress if lines are long. Most of them have wi-fi and I travel with my computer, so there’s no problem entertaining myself. However, I usually get into conversations instead. I had to make a last-minute trip to New York state from Sacramento over the Thanksgiving weekend. Most of the flights were over a thousand dollars, and I’m going to India in January for $1300. So I dug until I found something half that price – which of course meant flying all over the country there and back. Also, every plane was packed, so my seats were in the far back. There was only one connection that was tight, and when I explained why it was essential I not miss it, the flight attendants got someone up front to swap seats with me just before we landed. They also made sure I knew my next gate and told me to get a ride there from the guy driving people around. People are really nice when they know you need some help and aren’t demanding about it. On the way home, the weather had Newark closed, which had everyone in the airports scrambling to rearrange things. I chatted about life and men with a lady who was originally from Africa while she waited for her re-routed flight to get back in the air. The last leg of my journey, I sat next to an imam from Pakistan who is a doctor of theology, here to study people and try to figure out why Jews, Christians, and Muslims ignore all they have in common, including their common root in Abraham, and kill each other in the name of religion. While it is not the custom in his home culture, he initiated a handshake when we introduced ourselves. That’s what I try to do when traveling elsewhere – adapt to their customs as best I can and learn enough of the language to show respect for their culture. Anyway, I’m going to try to blog a bit as I go if I have internet access when I get to India. If not, I promise to post something by the end of February instead of being OCD about photos etc. 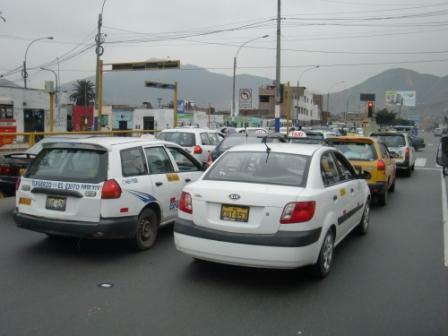 This is just one side of Lima. The city is huge, and the haze is the pollution from all the traffic, combined with an inversion system like that in Los Angeles. I actually brightened up this photo a bit so at least the near buildings would show better. Aside from our long weekends being tourists outside the city, my group spent five weeks in Lima living with families and being students. Most of the time I walked three or more miles a day and I used the buses a lot, once I figured them out. Pedestrians do not have the right of way, at least not in practice, and buses let people off in the middle of the street if they’re stopped at a red light. It was definitely important to be alert. The ISA driver told me normal rules do apply, but are widely ignored—so people frequently make lefts from the right lane and rights from the left. Until I got used to that, I usually crossed the street mid-block where I didn’t have to worry about turning cars. Video of a Lima intersection at rush hour! Taxis: Taxis come in all shapes, colors, and age. 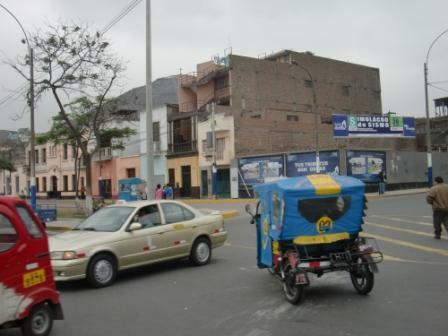 These three-wheeled taxis are in the rural areas and in the narrow streets on the edge of Lima. The picture on the right was taken out the window of our full size bus. They say it’s safer to get a radio taxi, but they’re more expensive and don’t always show up, so standard practice is to flag down a street taxi. Others stop behind the first, so you can take time to bargain. One pair of students in our group had an extremely bad experience the first week—the driver pulled into an alley way and locked them in the cab and demanded their money. The ride cost them fifty American dollars. Aside from that, the main complaint was crazy drivers. Watch how they’re driving before you flag them down! Know how much it should cost to get where you’re going. Set the price before you get into the cab. Have exact change ready in your hand and don’t pull out the rest.. If you HAVE to take a taxi late at night, do so in a large group, especially if you’re leaving a club or other place where the driver will assume you’ve been drinking and are therefore more vulnerable. The robbed couple were leaving a club late at night. I value communication–probably a prerequisite for being a writer, but also a reason for studying other languages. For example, Spanish is one of the three most widely spoken languages in the world, and the first language of many people living in the United States. 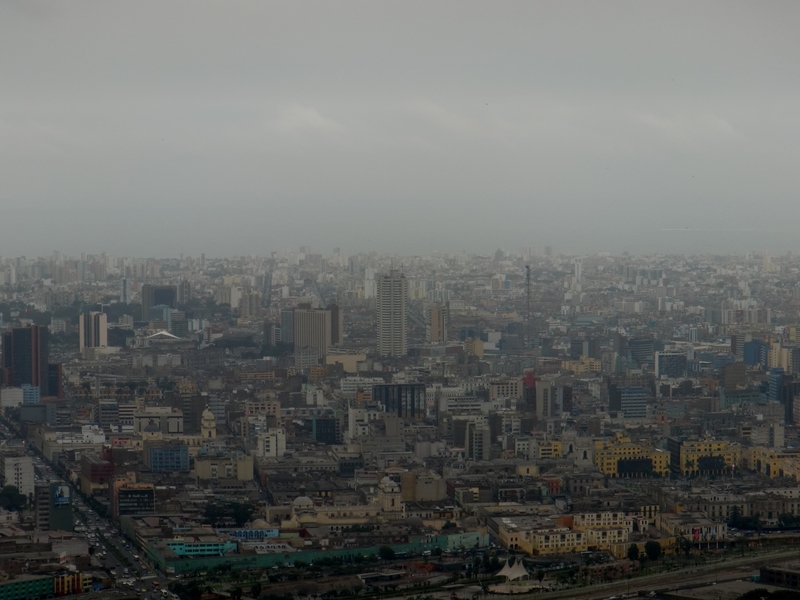 So, one of my primary goals for my five-week stay in Lima was to return truly fluent in Spanish. Part way through the trip, I realized that wasn’t going to happen. 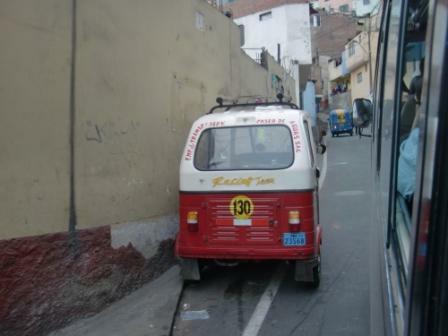 The tour was an amazing combination of learning in classes at the Universidad de Pacifico, getting to know my Peruvian family, learning how to navigate Lima solo, and weekend tours. 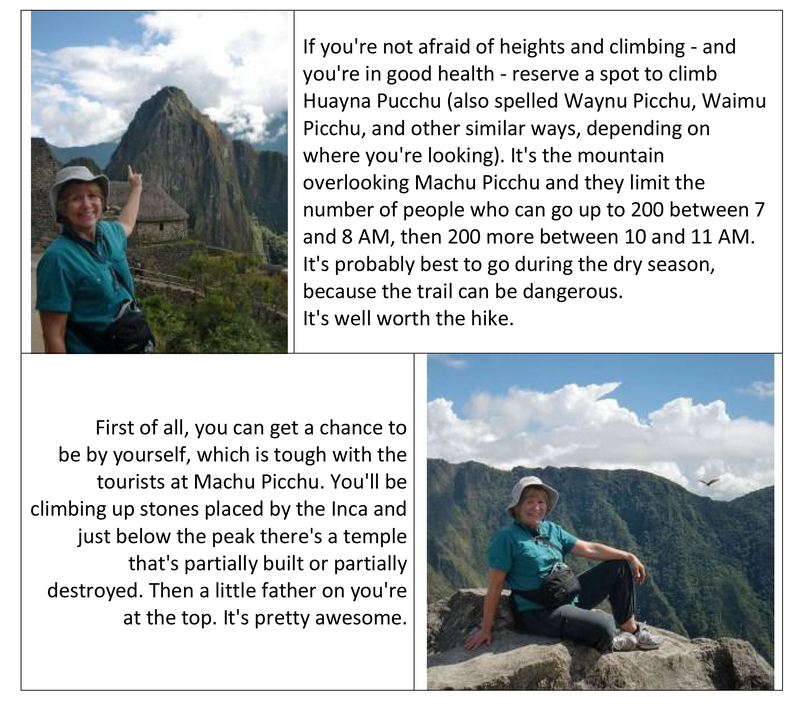 We visited the dunes at Ica and the birds at Paracas, climbed Waimu Picchu to view Machu Picchu from above, explored Cuzco, flew into Iquitos, and stayed in a jungle lodge on a tributary of the Amazon where we fished for piranha. It was a fantastic experience. However, whenever we got together with the other ISA summer students, we slipped into English. We weren’t supposed to, but with only five weeks, it happens. Also, whenever there was someone who was more fluent in Spanish around, it was easy to let them take the lead and translate. The other obstacle was that English is the global economy’s language. 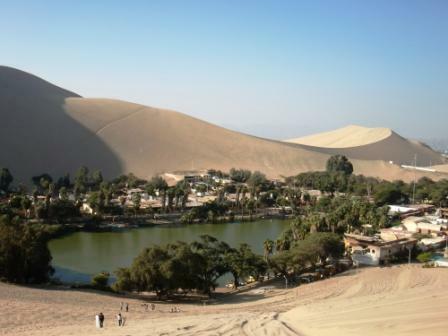 Most people I have encountered in other countries, including Peru, speak some English. They usually want to practice–and they’re not all highly educated. Many people in rural areas have only a few years of schooling, but Quechua kids selling art in the plazas of Cuzco, craftsmen, and our guides in the Amazon all spoke a native language first, Spanish because they learn it in elementary school, and enough English to converse and carry on their business. How many high school dropouts in the U.S. can speak multiple languages? How many college grads? Even though I studied three languages, without the environment requiring and facilitating regular practice, they’ve all become quite weak. While my Spanish grammar and vocabulary improved dramatically while I was in Peru, I still could not claim to be fluent for a job that requires consistently proper grammar and a broad vocabulary. That would take a least a year of living in the country with minimal use of English. The good news? When I was on my own, I had extensive conversations with trades people, the ISA driver, my hostess (who wants to learn English but will not use it with students who are there to improve their Spanish), and other people. While we sometimes had to pull in Spanglish or their English, for the most part we used Spanish. I even handled talking to the dentist on my own! So, while I can’t label myself as bilingual, I know I’ll be adequate when the need for Spanish arises–if I don’t forget! My daughter had no health insurance when she was in Mexico and stepped a sea urchin. She suffered for days before going to a hospital in the middle of the night for help. The bill was less than ten dollars. I lost a crown (cap on my tooth) in Cuzco. ISA found the least expensive yet competent dentist. For the first appointment, I wrote out the essential details in Spanish and had the ISA staffer who took me to my first appointment check to make sure it made sense. She made a couple small corrections and I told her to leave once I met the doctor. The dentist doesn’t speak as much English as they’d thought, but it’s a familiar environment, he has visual aids, and my Spanish has progressed enough to communicate with him on my own. He works alone and has only one patient at a time—a much more tranquil atmosphere than the usual large office. His competence was immediately evident and, since there were no distractions, he was completely focused on the work he was doing. I decided to have him do less urgent work as well, since I don’t have dental insurance in the States. Compared to what I’d have paid for the same work, I’ve saved almost enough to cover the cost of my plane ticket down here. I’m going to get his email. If I ever need major dental work again, I may come back here for it! I most definitely slipped out of my comfort zone into the danger zone last weekend. Neither riding an open vehicle over cliffs in mountainous sand dunes nor boarding down black diamond sand slopes had been on my to-do list, but it was part of the weekend package. This is another advantage of traveling with a group of people outside your own age range—you end up trying new things you wouldn’t have considered with a more homogenous group. Obviously, I survived. The first dune buggy had major problems and a crazy driver. The replacement vehicle was newer and while we went faster, the new driver seemed more competent, even when we went straight up and over an edge that had us going pretty much straight down. We stopped at three different slopes. The first to grab a board and head down the slope were the two girls most likely to be cast in a TV show—always perfectly dressed, perfect makeup, all that superficial stuff—but gutsy as well. They have brains, too. This may be the generation where women actually end up being paid on a par with men and filling more comparable positions.